Construction and Project Management Software, Solutions, Training | CDP, Inc.
Because CDP understands the construction industry and your type of business, our implementation team can help you successfully plan, estimate, manage, control, and deliver projects of all sizes and complexities. Since 1981, the real world experience of our expert staff and industry leading tools has enabled strategic decision making using real time project information. In today's climate, engineers face the growing complexity of increasing efficiency and reducing risk, all while delivering projects faster and within budget. CDP and their industry leading tools can help you throughout an entire project lifecycle, integrating systems and recommending the steps to improve and automate processes. With shifting priorities and the pressures of finding new sources of energy against the concerns of global warming and government regulations, successful management of projects is more important than ever. At CDP, we understand the challenges of managing large investments in complex projects, with multiple organizations, dispersed teams and critical timelines. In the Pharmaceutical Industry losing even a single day in getting a product to market can result in the loss of millions of dollars of potential profits. CDP's staff of real-world, experienced product managers and consultants can integrate our industry leading tools with your existing systems, enabling you to streamline processes across multiple departments or geographic locations, saving time and money. Industries in the public sector are being challenged to execute increasing complex programs with a growing network of contractors, all while complying with regulations and demonstrating accountability. 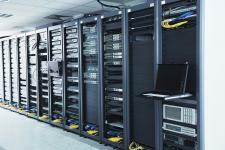 Our industry experts help you transition from legacy systems to new state-of-the-art tools with a hands-on approach. CDP's real world experience and hands-on approach allows manufacturing companies to plan, execute and control across multiple projects. Our industry leading tools will help manage all stages of a project - initiation, estimating and planning, to project execution and completion. At CDP, we understand the problems IT and Telecommunications companies face with the establishment, operation and maintenance of sophisticated equipment. CDP can help integrate our industry leading tools with your processes to eliminate entry of data into multiple systems, reducing errors, streamlining data flow and providing real time data in multiple systems simultaneously. We understand that Aerospace and Defense companies must develop systems and business practices that meet immediate needs while providing long-term flexibility, and realize the sometimes conflicting needs of government requirements that can impact profitability. 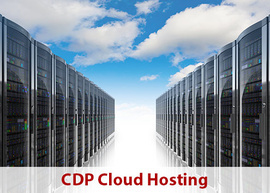 CDP has the tools, the experience and the manpower to meet the demands of your industry. Cloud computing gives you the power, scalability, and computing resources where they are needed, without significant investments in hardware. Hands-on public and private Oracle Primavera P6 training classes, including PPM, EPPM, Contract Management and Risk Analysis. 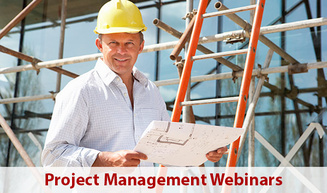 Project management webinars to keep your projects on-time and on-budget. Learn about the power of Oracle Primavera P6, Dexter + Chaney Spectrum, Phoenix Project Manager, Hard Dollar, Safran Project and more! Cloud computing is a service provided over the Internet where end-users can take advantage of powerful servers, scale as required, and quickly deploy computing resources where they are needed, all without significant investments in hardware. CDP professional services help clients make the most of their decisions, accelerating an organization’s adoption of project management processes and tools through an intelligent, well-designed implementation strategy. 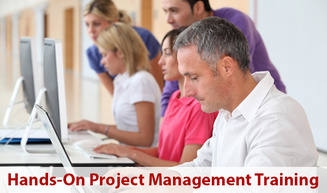 CDP’s experts bring to clients a uniquely powerful combination of project management and technological expertise. CDP consultants have worked in nearly every industry, on nearly every type of project, and are equally proficient in leading-edge database and project management technology. CDP consultants have implemented Primavera solutions for customers with a wide variety of environments, providing services from short-term support and integration with ERP to full-scale, global rollout. CDP is also committed to complete knowledge transfer both during and after the implementation process, so your organization can smoothly pick up where our professional services team leaves off. We want to thank you for the outstanding work your team did helping us upgrade our planning system to Primavera P6. This was far more than just a software upgrade; it was a cultural and organizational readjustment. It took the right team, doing the right things at the right time in order to help us cross the bridge to the world of P6.